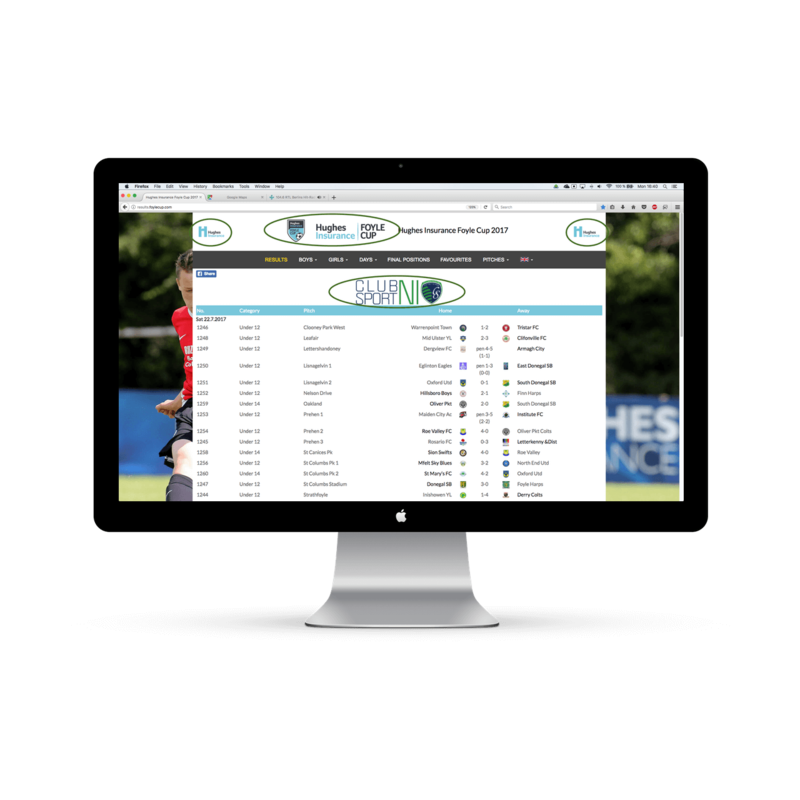 Our web based tournament and league management tool has everything you need to organise your event smoothly. Starting from team registrations and ending with reporting the results online, our system will be able to handle even the most complicated tournaments. Teams at your tournaments need up-to-date information on how they are doing. Everyone has a mobile phone and everyone has internet access. 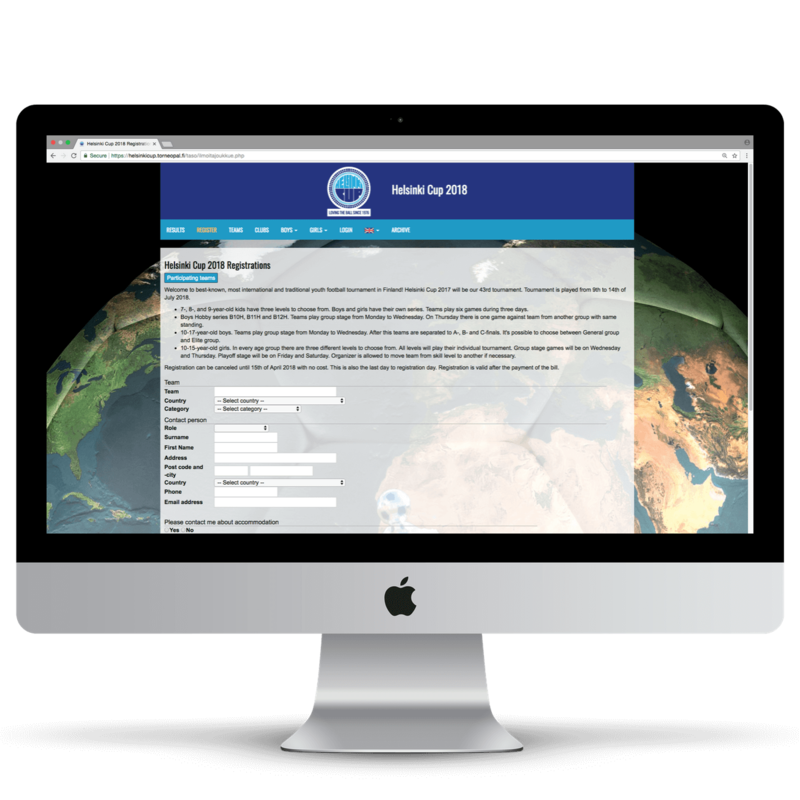 With the instantly updated results site, you can provide the teams with the information they need. 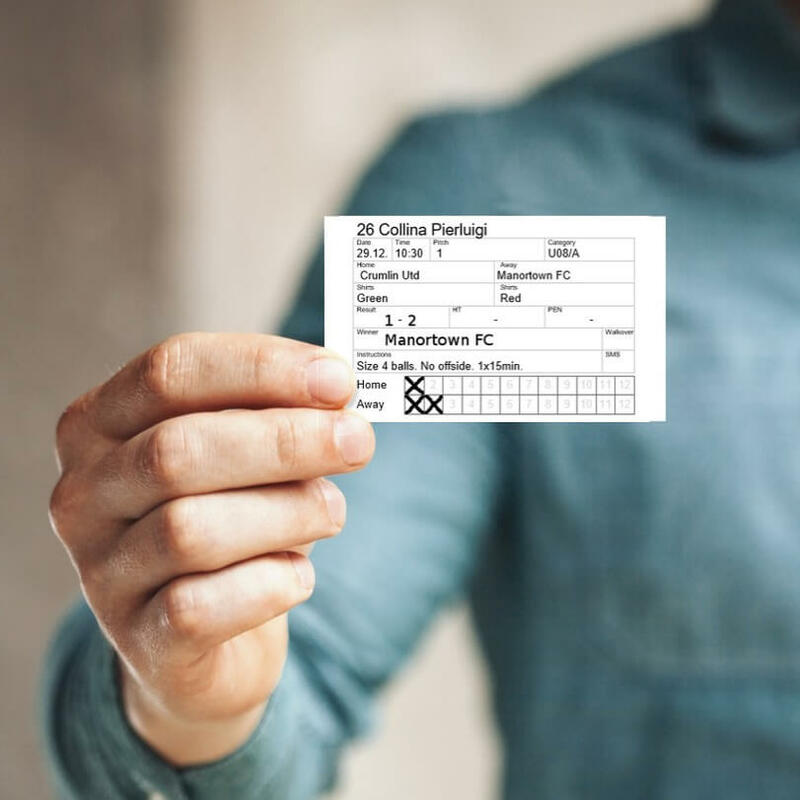 If you are tired of the old paper registrations you can make your life easier with our online registrations. Teams go to your site, enter their details and receive an invoice with their login details. 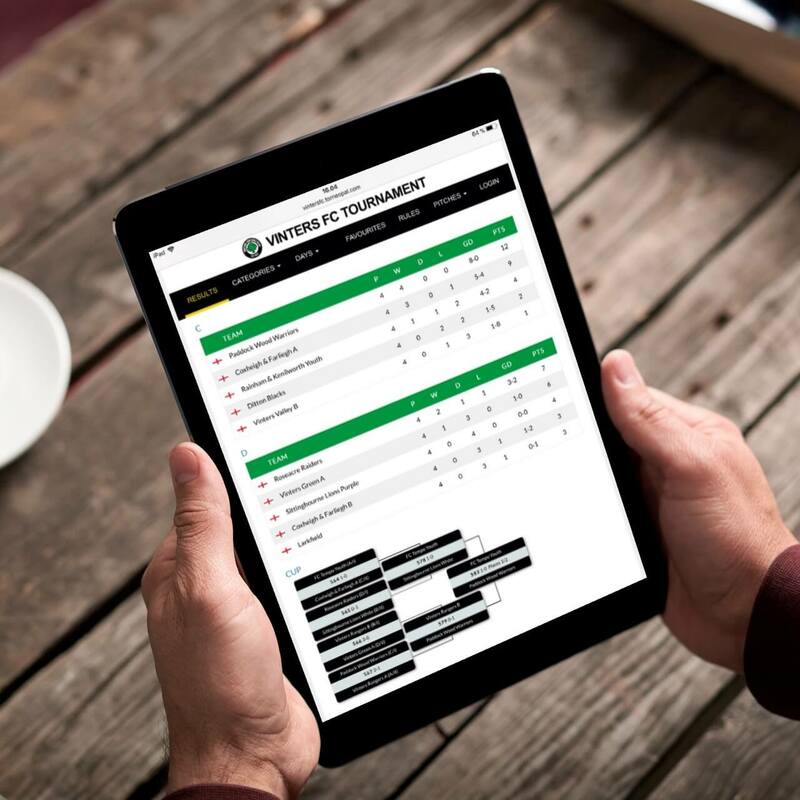 With that login code, they can enter player data, team photos, kit colours and scheduling requests. 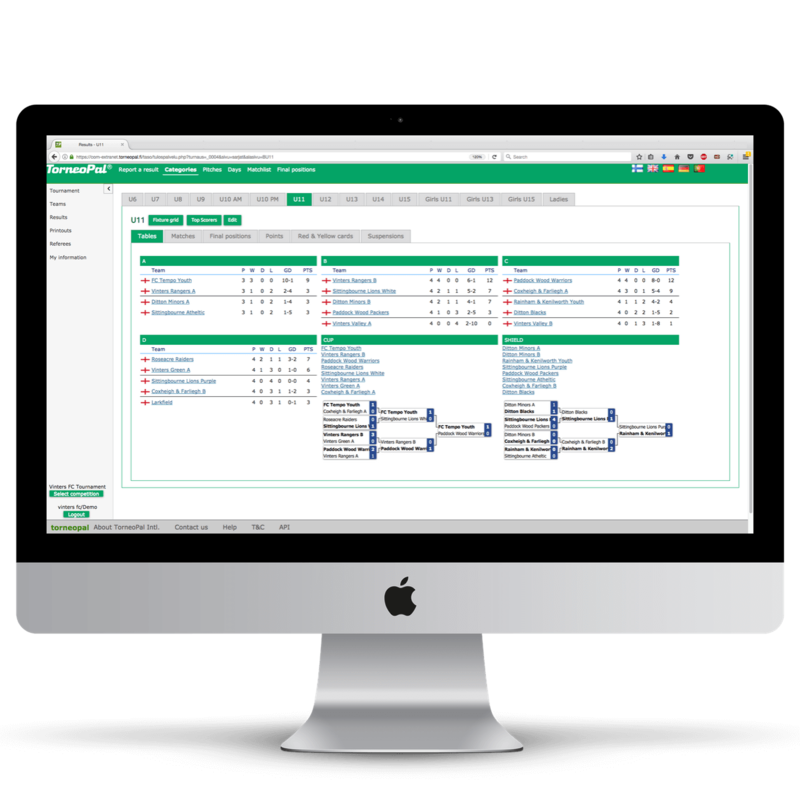 Printing out the fixtures, referee match cards, tables, results etc can be done very easily using our tournament software. We are very proud of the mini match cards which are printed out and given to the referees at the start of the day. Each match card has the team details, shirt colours and place to mark the score and goalscorers. 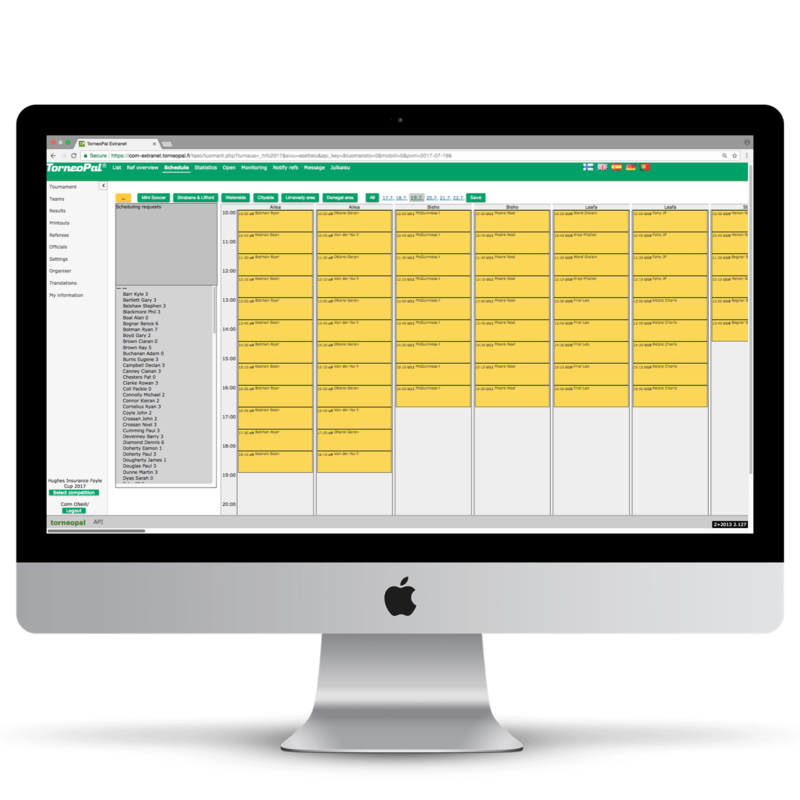 Your list of referees can be added into the system, and you can easily assign referees and assistants to games. You can then send an email to all referees with one click. They’ll receive a unique link where they can view the time and place for all of their matches. If any changes happen they are updated automatically. Traffic to tournament websites spikes massively while the tournament is taking place. You need that going to a site with your sponsors so that you do not miss out on a lot of exposure and revenue. Your results website is integrated directly into your website and we only show your sponsor logos.